AD - what's the name of this tool and is there one in AD? and ps. when I add a lense flare picture, I still get the "background" square and black color from the original picture even though I change the mode of it to screen for example. You can see it if you look closer to the star/lense flare or if you zoom in. All the Photoshop tutorials I've watched do not have this issue ... is it something wrong that I'm doing or is it something in AD? The first is probably the polygone-lasso-tool to make selections and then the gradient tool is used to add fills. In AD on the pixel persona there is the freehand selection tool which should allow to do similar selections. The gradient tool is in AD instead on the draw persona. For the second one the star/lense flares, just make sure these have transparent backgrounds (PNG, GIF) when you apply/use such things. Yes, use the gradient tool for the strokes. AFAIK, photoshop has a lens flare tool. GIMP also has one, tho' it doesn't have many parameters. (During the late 80's, early 90s, 3D software went nuts w. lens flares. It was an attempt to make artificial images look more natural by introducing an artifact that most photographers considered a flaw that happened as a side effect to the camera internal structure. ) I know that if you are bringing in a .png with transparency you can get just the light markings and loose the background. Oh alright, I will test it and try doing my best. Maybe there's a tutorial on it too? Oh hmm ok, I'll try find these stuff but have most of it from google searches. But at least I know what to search for. Another question, I tried to use the Freehand Selection tool in AD's pixel persona (like polygon/lasso tool) to select an area because I wanted to add a gradient to that. the selection to be able to edit it? To work around this, draw a rectangle with the same dimensions as your document/canvas (choose the colour that's more convenient for you - it can be white if you want) and place this layer on the bottom of the layer's stack in the Layers panel - the black from the lens flare image should now become all transparent. 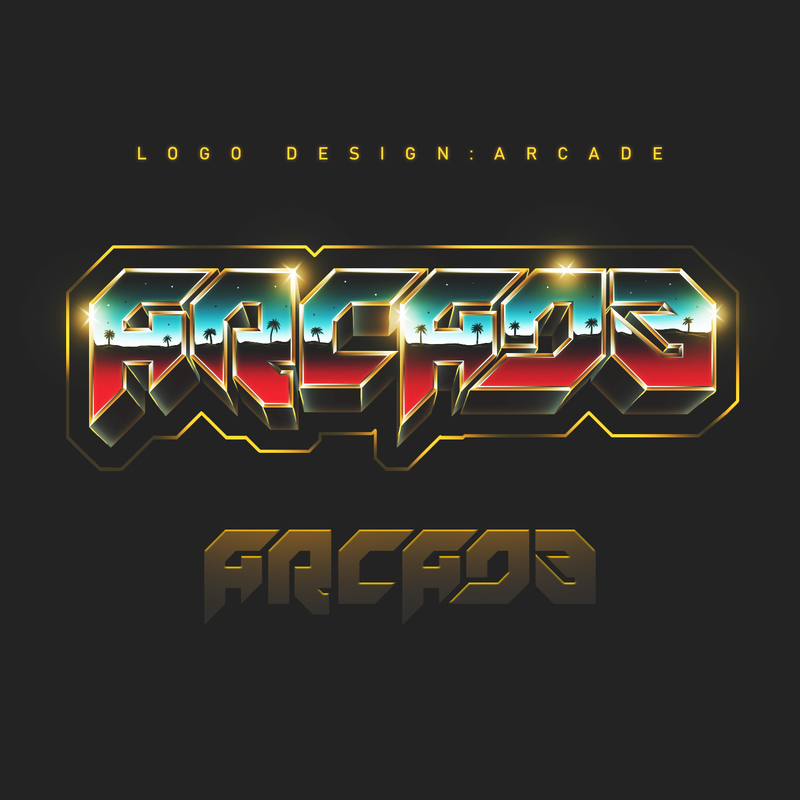 Out of curiosity if you don't mind: If you are using Affinity Designer to create 80's text effects/work why are you using pixel selections/working with raster tools when you can create it using vector tools? You can still use raster images (like the lens flare image) for certain effects but mostly of the text/gradients are easier to manipulate and adjust if you use vector objects. Hey MEB! Thanks for reaching out and for your great feedback! About the marking thing, I think I'm just gonna do a stroke and have some gradient color in that for now or just use a single color for the outer + inner glows and change the blend mode (overlay, screen) so it fits. Maybe this is better? Oh, thx!! I mean...I asked about the pixel thing because of the selection tool+fill it with a gradient. I am although not that good to decide where to have my cut selections so maybe it's just easier to go with the above. Oh, so vector tools/designs should be better for 80s artwork? I first thought pixel based texts looks more "noisier" when adding color gradings and what's making them retro, but the 2 videos and another one showed that he's changing the blending mode on the text or on the fx's like inner+outer glow plus something more...and that made the text look "older". Also some guy used some photocopy textures and added them in the design and it looked a little bit "old" and "worn" kind of bleached ... So maybe it's all in the effects?? Anything that comes in mind effect-wise in AD I can trix n fix with? Well remind that you can also setup the noise level when assigning colors or fills in AD. 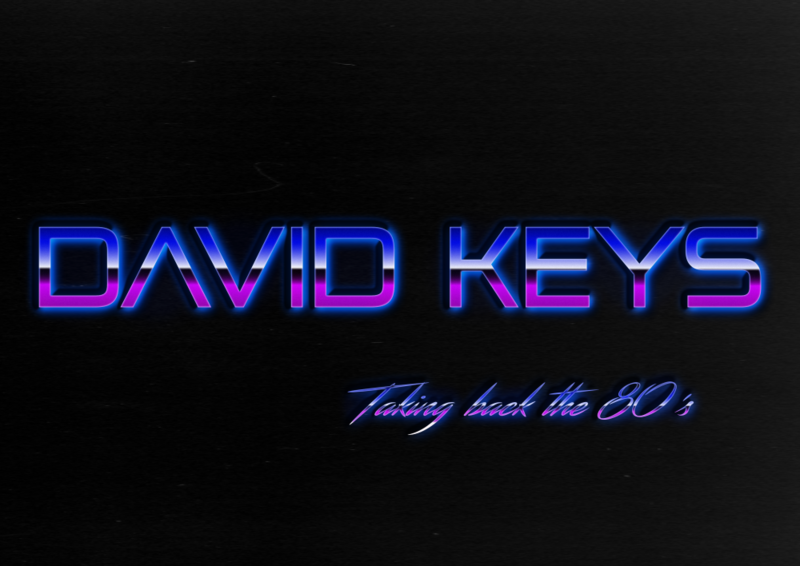 Further there are also already available 80's fonts (just one example here) etc. Reading your last post, and looking at the examples shown on spoongraphics, and sites linked w. the examples, I see that what you want to do is not only in part to emulate the neon, chrome, flare & perspective grid features of 80's mid-range CG. You also want styles that were from very limited color ranges, simple geometric shapes, and low quality scans. Looking over the examples, I note how limited the color palettes are for the most part. My recollection of old tools was that one would might up a palette with 64 levels of grey, red, blue and green. Or perhaps levels of blue, for the sky part of the reflection, and 128 of orange brown for ground. All dither everything for a visual mixing that might approximate 1028 colors. Example from AD, noisy gradients posterized, slightly blurred and exported as 8 bit .gif. Maybe a little too noisy, not slick enough for an 80's gloss, tho' not to far away from non-disco graphics of the time. As an analogy, you are trying to get a contemporary car to handle like one that is maybe 50+ years old. Rear wheel drive, no steel belted radial tires, suspension is coil and leaf springs, no power steering, no automatic transmission, and power breaks that grab and cause skidding. Maybe an 8 track stereo for listening to music until someone smashed a window, and stole it. Thanks for all the tips and recommendations!! Did a little something just for trying stuff out and, pretty satisfied. 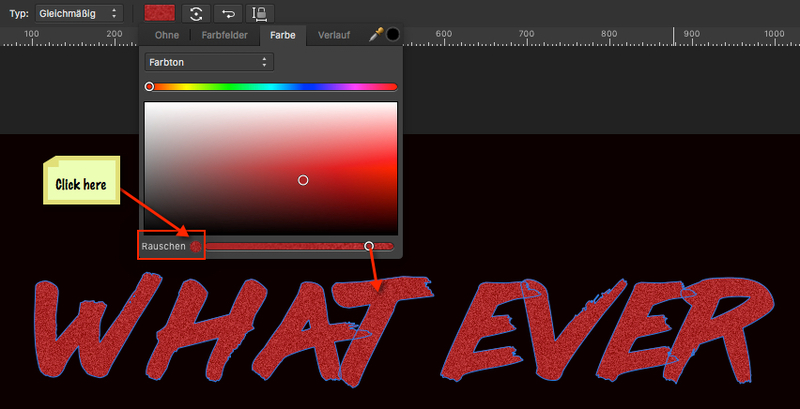 Then Stroke is ----> to the left in the "color" menu where you switch to brushes etc. Could this be moved to the "main screen" for Stroke adjustments? It would be really nice if the Stroke color (I chose gradient) from white to blue could be changed or edited just like adding a gradient to a text/symbol and you get the marker with the dots that you can mix inside the stroke , although I will try and mix with the 4 different gradient tools if I can get similar results.